Is there any device more personal than the mobile phones consumers keep glued to themselves 24/7? It tracks where they go, when they go, and often, how long they stay there. They visit city parks and day care centers regularly? Chances are they’re a mom (or dad). They go to concert venues and trendy cafés? While they may or may not be a hipster, they’re probably a millennial. Not to mention all that content on their phones. The apps they download. The podcasts they listen to. The searches they perform. Personalization takes a giant leap when applied to mobile, and mobile marketing automation is essential to any marketer trying to reap its sweet rewards. It’s the only way to action all that data and turn it into meaningful mobile interactions. But what exactly do you need? And what’s the full potential? After all, you can’t act on what you don’t know. 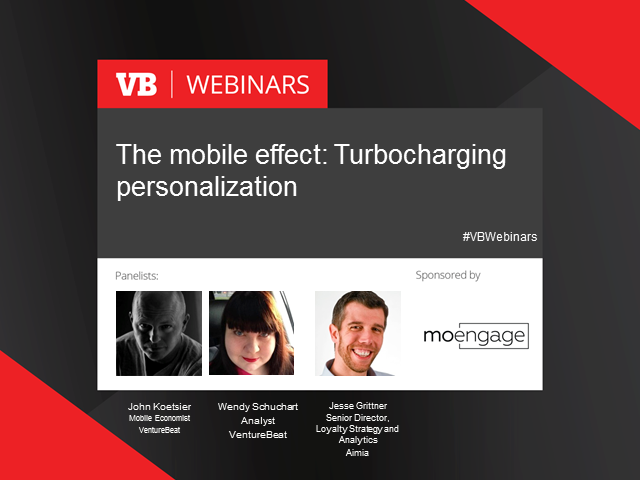 In this webinar, we’ll share how mobile unlocks the biggest gateway to personalization yet. You’ll hear how leading-edge companies today are turning the data from our GPS-enabled devices into profitable insights. And you’ll learn the best tools to get there. * Hear tips from the top experts in personalization and mobile presence.